So you are taking on the exciting task of throwing an engagement party. First off, good for you, second off, it's time to get to work! Although this will be a fun and wonderful experience, there is a lot involved. 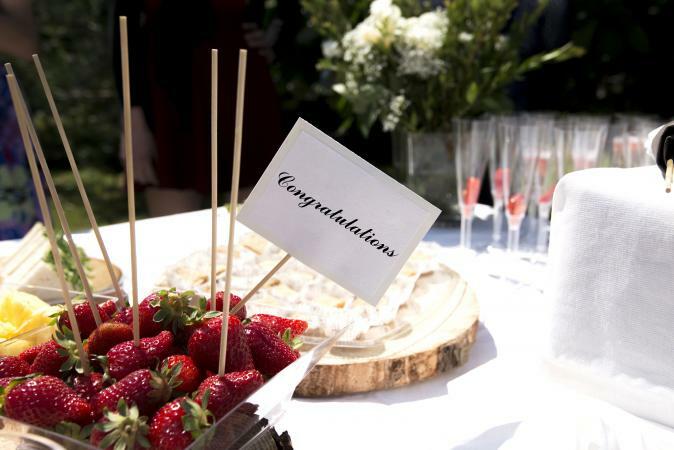 Having a guide can help you throw a stellar engagement party. Who is hosting the party anyway? It's important to establish this from the get-go. 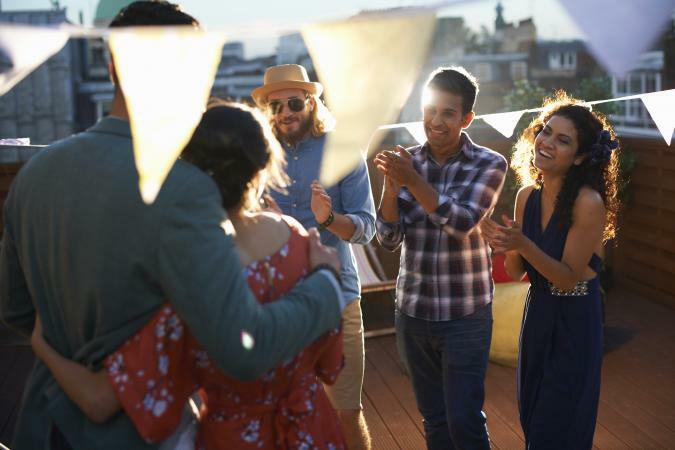 Traditionally, engagement parties are thrown by the bride's parents, but times are changing, and today friends of the bride and groom, the groom's parents, or even the bride and groom themselves can host this party. 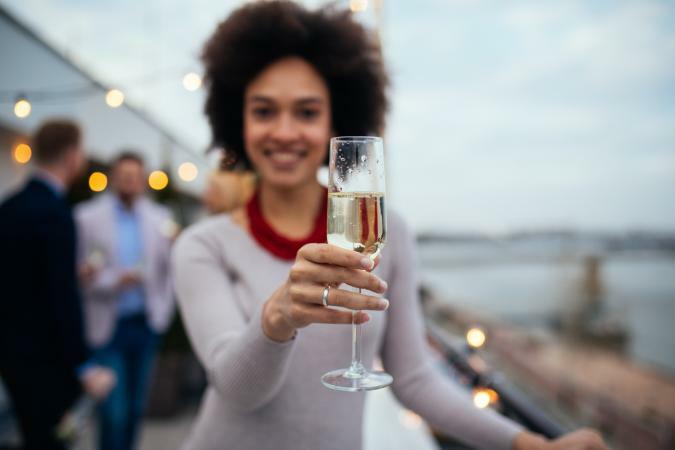 Although they probably want to revel in their fiancé statuses, it would be beneficial for the future bride and groom to start thinking about a host and party within a couple weeks of the engagement announcement since parties take a lot of organization. You need a date, and this simple task is easier said than done. It might be wise to check in with the big players: bride and groom (if not hosting), parents, and grandparents, but you won't be able to please everyone, so you may want to end the check-in there. 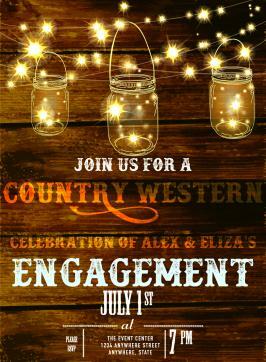 Usually, these parties take place a couple months to six months after the engagement announcement. You want to pick a date that allows enough time to plan a stellar party, and that amount of time will depend on your tenacity. You also want to avoid an engagement party date that falls only a couple months before the wedding. Party costs can add up, so you want to set a budget and stick to it. 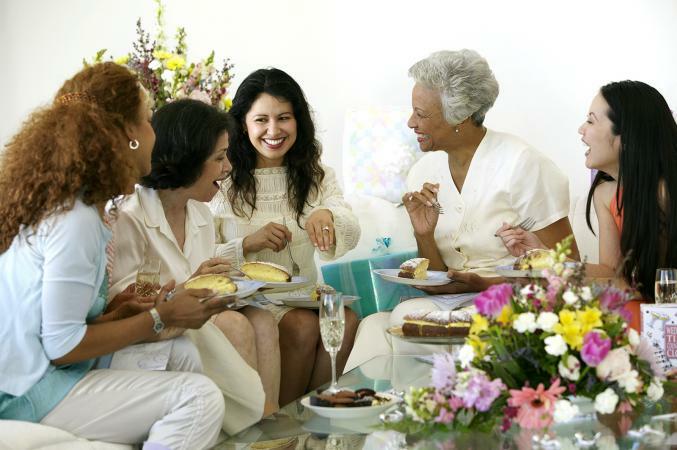 Decide if you are going to throw an extravagant shindig or an intimate and low-key luncheon. Think about food choices and whether you want to go with upscale options or a simple potluck. Your budget will depend on how the party is being financed. Maybe one host is taking the primary responsibility of financing the whole party, or maybe there is a group of people who are all chipping in. The budget will also depend on your financial situation. 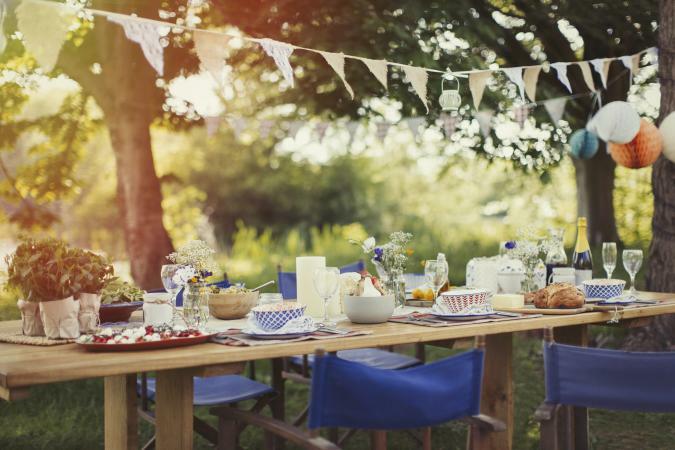 Maybe money is not an option, or your budget is very high because there are adequate savings in place, or maybe you want to cut costs by hosting the party at an outdoor park and providing a laid-back barbecue. It might be a wise idea to download a budgeting app to your phone to help keep you in line. Consider where the party should take place. At someone's home, or at a restaurant? A hotel? A barn? You need a venue to have a party, and although there are many options, this is an important decision that sets the tone for your party. It's best to visit more than one venue in order to compare costs and aesthetics. You also want to consider what the venue provides and what you will need to bring yourself. Some venues offer a cleaning service, tablecloths, chair covers, etc., but other venues provide nothing but space. Make a list of all the items and services each venue you visit provides and then compare them. Some venues book quickly so shoot for finding one at least a month before the party to be on the safe side. You also need to pick a theme. It could be country-themed or elegant and filled with champagne. Your theme sets the scene for invitations, decor, entertainment, and more, so the theme should be something that reflects the bride and groom. Maybe they both love to travel and recently took a trip to Paris. Perfect - buy some Eiffel tower centerpieces and start ordering some French wine. Maybe they met at the beach. A beachy, casual engagement party with a seashell-inspired cake would surely be a hit, and the bride and groom will appreciate the thoughtfulness. If the happy couple doesn't want gifts, you can state this on the invites, and if they do, you'll need to consider how to approach this. One option is not to mention anything on the invite, and some guests will bring gifts and others won't. You also could put a link to your registry on the invite with a side note like, "If you feel obliged to bring a gift, here is a link to our registry." Another option is to provide information about your honeymoon fund. There are numerous websites that you can sign up at that allow guests to send money to a honeymoon fund. Still another choice is tactfully providing a link on the engagement party invitation to a wedding website that could have a separate page that links the registry and provides insights into what the bride and group enjoy doing together - relevant information to prospective gift buyers. You need to decide how many and what type of guests you want at this party. In other words, you need to decide if this party is going to be large and for friends and family, or if it is for one or the other. Also, keep in mind that the more guests you invite, the higher the cost, so factor this in when figuring out your budget. After your guest list is in place, then you have to gather addresses, pick, and send invitations. It's always nice to keep your invites within your theme. It is a good idea to send the invitations around a month to three weeks before the party. You'll also want to establish the dress code to include on the invitation. Your guests will want to know if the party will be casual or formal. Maybe you have a Hawaiian theme; they'll need to know that. Some engagement parties are black and white and formal. Other engagement parties are casual beachwear. It is just important that your dress code matches your theme. For example, you wouldn't want to have formal attire at a casual backyard lawn party, but it would be suitable to have formal attire at a chocolate and champagne-themed party. People are going to want to eat. You need to decide if you want a brunch party, a luncheon, a dinner, or just appetizers and hors d'oeuvres. Once you figure this out, you need to decide on the type of food you want. This could depend on your theme and the bride's and groom's preferences. You may need to visit caterers and sample menus, depending on the type of party you're having and what the venue offers. This should be determined around a month to three weeks before the party. This is a special time, and the bride and groom are going to want pictures. It is up to you how fancy of a photographer you want. You could go upscale, or, if you are trying to be budget friendly, you could ask a family friend or relative who has a passion for pictures (and a nice camera). Another option is scouring craigslist. You may find photography students available who will do engagement parties and weddings for free or little cost to build their portfolios. Keep in mind that some professional photographers are hard to book, so if you choose to go that route, try to find one by three weeks before the party. Another consideration is whether you want a band, DJ, or an iPod playlist. All of these require planning and picking some songs and genres. If you are going with a DJ or band, you need to schedule this at least a couple weeks before the party, but if you are going with your own music, this alleviates the pressure of a time limit, although you certainly need a playlist picked by the big day. The night before or day of the party you need to decorate. This is the time to get some key components of your party in order: centerpieces, gift station (if you are having gifts), table settings, etc. It is not a small task so recruit some friends. Some venues actually provide decorations so make sure you check with them first. Most department stores offer party supplies at great prices and specialty party stores are also a great option. Although you are not decorating until the day of the party, you want to buy them at least a week before. Some hosts even choose to make some of their own decorations. Once you've planned out the perfect engagement party, make sure to follow through and execute it well so that everyone has a great time. At the party, it is important to welcome your guests. This doesn't mean that you have to stand at the door offering a handshake but make an effort towards the beginning of the party to greet the guests. It's important that you have fun at the party too. Mingle with the guests, play the games, eat, and don't forget to dance. It's a party that yes, you organized, but don't forget to enjoy it. It's essential that you drink some champagne and show your moves on the dance floor too. You are going to have to prepare a toast, and you should probably avoid winging it and make sure that you have it written down beforehand. You know the future bride- and groom-to-be, so make it genuine, humorous, and in your own unique voice. Opportune moments to make a toast are right before mealtime or dessert. If you have gifts at the party, you need to set aside a time to open them. Make sure you have a designated gift opening area and a trash bag handy for discarding wrapping paper. You might want to have chairs set up for both the bride and groom as well. During this time, it is also essential that someone (it doesn't have to be you) writes down each gift and who it is from. This is the list the bride- and groom -to-be will use for thank you notes. At the end of the party, it is important that you say your goodbyes. Thank the guests for coming. You are also the party's ender so you need to make sure that you stop the music and games at a reasonable hour and help guide those guests to the door before the sun rises. This is another good time to recruit help. It might look a bit crazy, but you have to get things back in order. Haul out the trash bags and start picking up. Take off the tablecloths and gather anything else that needs to be washed. Push in all chairs and leave the space like you found it. You could even hire a cleaning person or crew depending on how large the party is. After cleaning up, you can finally relax. Sit down for a while and reflect on the wonderful memories you helped create. After all, your hard work resulted in one stellar engagement party.